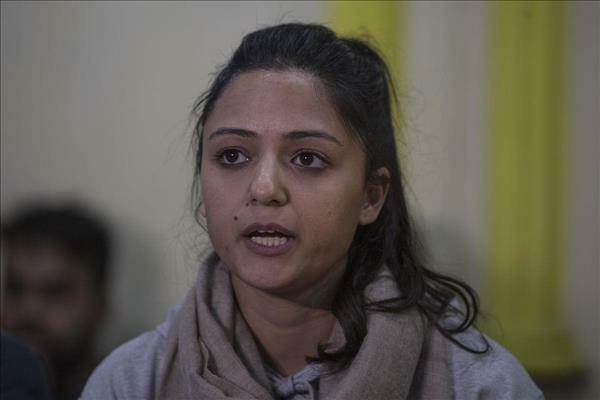 (MENAFN - Kashmir Observer) SRINAGAR — Shehla Rashid, who recently joined the IAS officer-turned- politician Shah Faesal's Jammu and Kashmir People's Movement, Monday sought justice for a Bandipora girl who allegedly committed suicide after she was raped by her father for several years. 'JKPM leader Shehla Rashid visited Chaliwan village in district Bandipora today where a 22 year old girl died after being allegedly raped by her father for several years. She met the younger sister of the victim who is now fighting for justice against her father. Shehla Rashid lauded the courage of the sister who is only 17 years old. She assured her of support and asked her to carry on the fight for justice without fear,' a statement issued here said. After meeting the victim's sister and her family, Shehla Rashid and her team also met the concerned DSP and expressed concerns about the safety of the victim's younger sister who is now fighting for justice. If need be, the girl should be shifted to a safe place, the delegation told DSP Murtaza Hussain Mir. The team expressed satisfaction at the course of investigation and appealed for speedy justice.